Telecommunications has always been a part of Australia?s operations in Antarctica. The Australasian Antarctic Expedition from 1911 to 1914 led by Douglas Mawson, set up a transmitter at Commonwealth Bay, and a relay station on Macquarie Island. At that time a rotary-arc transmitter and Morse code were used to send weather information and personal messages to Hobart. Since that time Australia has seen many changes in the telecommunications used to support its Antarctic operations surrounding the three continental stations of Casey, Davis, Mawson and Macquarie Island. This has progressed from the use of Morse code on HF (High Frequency) Radio, through the use of voice and Telex over radio, to the first use of a satellite phone in the early 1980s. The introduction of permanent satellite communications in the late 1980s revolutionised communication between Australia and its four Antarctic stations. The network, known as ANARESAT, uses Intelsat geostationary satellites to provide telecommunication links between Australia and the stations. The first satellite earth-station, which includes a 7.3 m dish antenna, was installed and commissioned at Davis in March 1987. Mawson was commissioned in January 1988, Casey in March 1988, and Macquarie Island in December 1988. The advances in telecommunications and IT continue at a rapid pace and today's Antarctic Expeditioner expects to be able to access all the latest social media, to sit down to breakfast with the latest newspapers, and to receive mobile phone calls from family, while having excellent medical care, access to the latest weather forecasts when planning field trips, a safety net of local radio communications and vehicle satellite tracking, and collection and processing of a multitude of scientific data. Today an Australian Antarctic station consists of a number of major buildings that are connected by fibre optic cable. This is used to provide an IP network to all areas on a station and in some cases is extended by a 2.4GHz link to nearby scientific installations such as the penguin monitoring equipment on B?chervaise Island at Mawson. The core IT system at each station consists of a redundant pair of host servers providing virtual machines for services including exchange email, file and print, software update distribution, Maximo maintenance database, network monitoring, etc. The storage is on a small SAN backed up to a separate disk storage system. Redundancy is critical for an Antarctic station that is isolated for at least six months of the year, so as well as the redundant online spares, a complete set of cold spares is kept in a separate building from the server room. Automated remote configuration via the Asterisk database. Accurate call charging to expeditioners who are able to access their real time call records via a Web interface. The voice switches at each station are connected by an IAX2 (Inter Asterisk Exchange rev 2) trunk to the Asterisk cluster in the AAD Head Office in Tasmania. Significant improvement in bandwidth efficiency across the satellite links was obtained by using the trunked version of the IAX2 protocol to allow multiple voice streams to share a single trunk to another server, reducing overhead created by IP packets. In addition to these trunks, each station switch is interfaced to Iridium and Inmarsat terminals to provide alternative routing of calls. Redundancy is allowed for at each station with the provision of a second Asterisk system running on an embedded PC in a separate building. Most of a station's mechanical and electrical systems are monitored by a building management system (BMS) which collects information on the state of the heating, ventilation, refrigeration, water, sewerage, communications and electrical generation and distribution systems. Status and alarm messages are sent via a paging system to the relevant station maintenance personnel. This paging system is now being replaced by an SMS system based on the open source software, OpenBTS. The hardware incorporates a Linux embedded PC, software-defined radio (SDR) and a 10W PA installed at the base of the antenna tower and can operate in temperatures down to -40 degC with a 4 hour battery capacity. The antenna is a vertically polarised, 8 stack, 12dB gain folded dipole stainless steel antenna array and provides a line-of-sight range of approximately 20km. In the OpenBTS implementation, the handsets appear as SIP endpoints and authenticate to the Asterisk PBX, and messages are sent using RFC 3428. The associated voice capability, and the ability to geo-locate a phone, provide an addition level of safety on the Antarctic Stations. Australian Antarctic Stations operate a range of radio equipment for communicating with ships, aircraft, field camps and station personnel using the HF and VHF bands. The fibre optic network at a station is used to connect the radio base stations to the central operating positions. At each transmitter site, an embedded PC can connect up to 4 radios to the IP network via a USB audio interface. An implementation of the Asterisk voice switch establishes voice connections from the operator positions to the radios as required. All radio traffic is digitally recorded to hard disk and kept for more than three months. The immediate use of this facility is that the operators can replay the last conversation at the push of a button, if they miss part of the transmission. The customisable GUI for the operators uses touch screens and enables them to utilise any radio at any station in the AAD network. 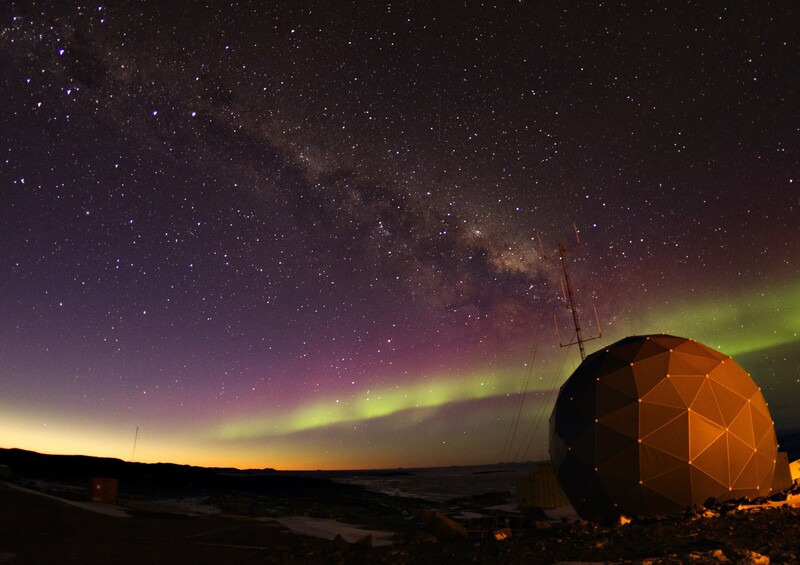 As mentioned in the introduction, the ANARESAT network uses Intelsat satellites to provide the main communications link between Australia and the Antarctic stations. Each Antarctic station is equipped with a C-Band Intelsat Standard-F2 earth station and associated equipment. Since the initial installation, equipment and bandwidth has been upgraded regularly to meet the changing needs of the Australian Antarctic programme (AAp). The current capacity to Casey and Davis is 1.2Mbps. An Inmarsat BGAN terminal is installed at each station to provide basic backup to the ANARESAT system. The BGAN standard IP service enables essential phone and email communication to continue in the event of a fault with the ANARESAT system. It also allows AAD Head Office staff remote access to the station LANs and ANARESAT satellite equipment for fault finding purposes. Inmarsat BGAN terminals are also used to provide similar basic phone and email services to the Wilkins Aerodrome near Casey and summer scientific field camps. A third satellite service at the stations is provided through the Iridium system and provides a single telephone circuit that is interfaced to the Asterisk phone system. Wide use of the Iridium system is made for remote field communications utilising portable and vehicle mounted handsets. Compresses and caches traffic to increase the efficiency of the link. Database replication and hosting on station to provide local access for applications including. The ICT infrastructure at a station is relied upon by a number of critical users, and medical is perhaps the best example. Video Conferencing via IP conferencing units is used for remote consultations and monitoring of procedures. In addition, real-time monitoring of patient vital-signs during surgical procedures or in the recovery ward is possible by the remote monitoring of the anaesthetic machine. Modern X-ray and Ultrasound equipment produce digital images that are transferred via a DICOM (Digital Imaging and Communications in Medicine) system for viewing by specialists in Australia. Weather forecasts play a vital role in enabling safe and efficient operations in Antarctica. During the summer period, Bureau of Meteorology forecasters are stationed at Casey and Davis to provide regular local forecasts to support air and field operations. They rely heavily on the timely transmission of forecast models from Melbourne as well as data collected locally by a network of automatic weather stations that report via wireless and satellite links. Much of the current and future scientific exploration of Antarctica will be done using satellite remote sensing. 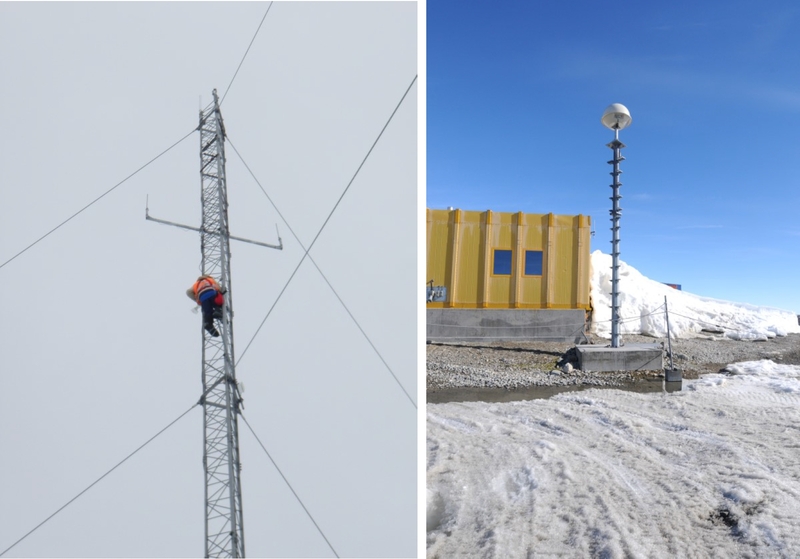 Capturing the data that covers the Australian Antarctic Territory required the establishment of x-band satellite reception facilities at Casey in 2009. Initial image processing is done at Casey and then transferred by the network to Australia. 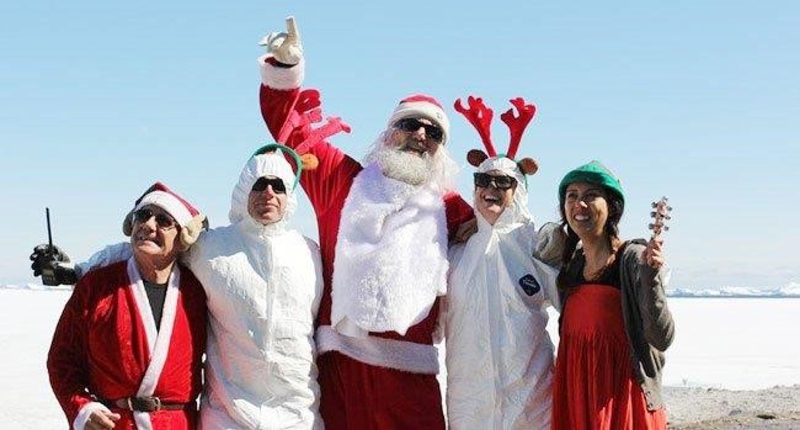 All of our Antarctic Stations carry out scientific research all year round. During the winter period, much of the work is carried out by automated instrumentation that can be remotely monitored and controlled by Australian-based researchers. The data collected is transferred by the satellite network for processing in Australia. As an example, at Davis, the climate research team operate a ?light detection and ranging? (LIDAR) instrument, in combination with three radars (operating at 2, 33 and 55 MHz), to gather information on atmospheric density, temperature, wind velocity and aerosols in the middle atmosphere (10-100 km up). Technology will continue to develop at a fast pace and the AAD will need to use the technology that best meets its needs in a harsh, remote environment. New modulation techniques will be used to make more efficient use of the available satellite bandwidth and new satellite networks will offer new opportunities for improved Antarctic communications. A new set of computing infrastructure will be installed at our stations over the next year which will offer Scientists the ability to collect, process and store more data from their instrumentation. Telemedicine applications will enhance the medical care available to expeditioners as more network bandwidth becomes available. It is an exciting future for Antarctic ICT.